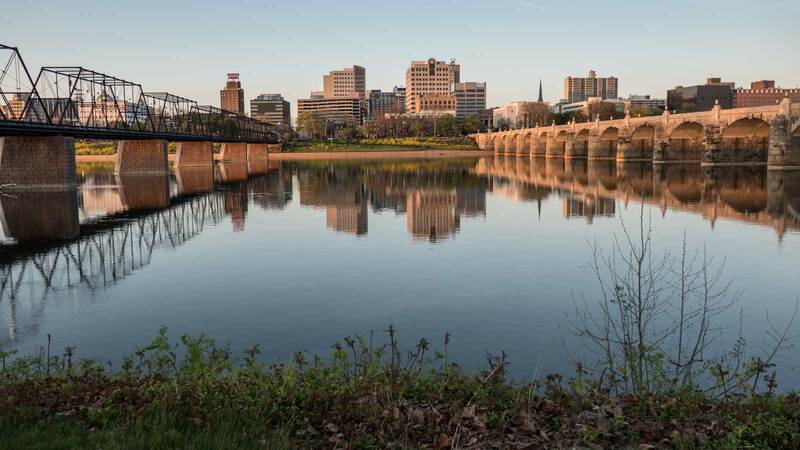 Seated on the banks of the Susquehanna River, Harrisburg has been the capital of Pennsylvania since 1812. With a population of around 50,000, it’s the 10th largest city in the state. 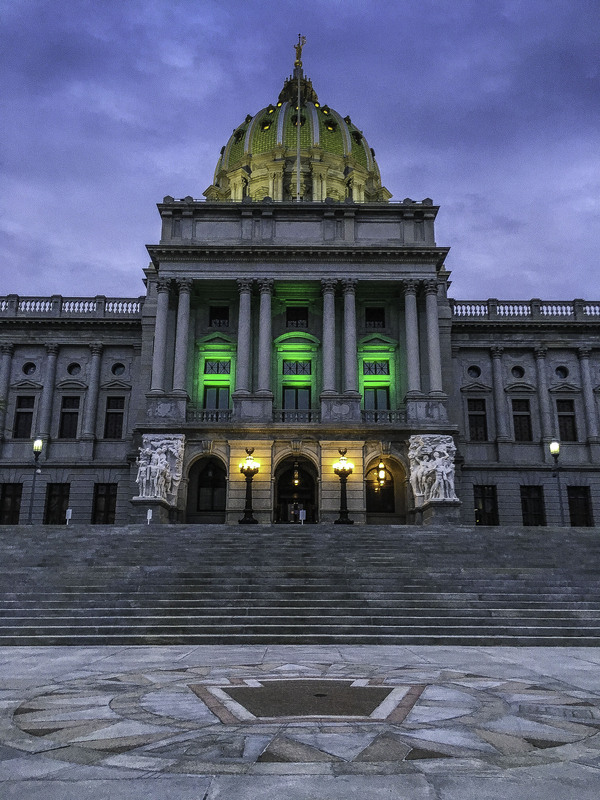 Although considered central Pennsylvania, Harrisburg lies in the southeastern quarter of the state along with most of the main population centers (Lancaster, Lehigh Valley, Philadelphia, Reading, and York). 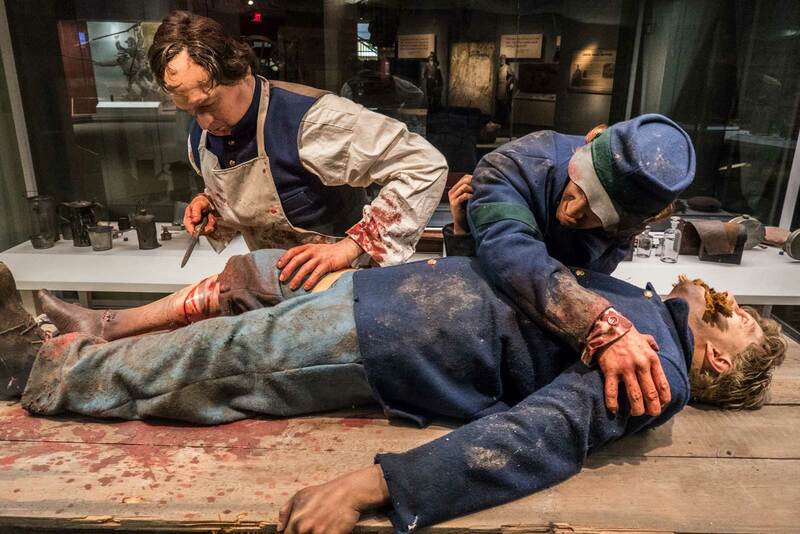 Although no major civil war battles were fought in Harrisburg, the National Civil War Museum is located in a two-story brick building in Reservoir Park. If you’re coming from the Northeast, this is an ideal place to start your day. Boasting over a dozen galleries and a theater, it’s easy to spend a couple hours exploring. While most of the exhibits cover the war itself, there is plenty of information on the lead up as well as the aftermath. Located across the street from the Broad Street Market, this independent bookstore is housed in a former 1920s movie theater. Boasting over 100,000 books (including used) as well as a hipster cafe, it’s easy to get lost inside. Their Instagram is worth following (@midtownscholar). When the current Capitol was built in 1906, then-President Theodore Roosevelt, referred to it as “the handsomest building I ever saw.” 30-minute tours are available daily, which will get you inside the rooms where the decisions are made as well as leave you with plenty of background info on the building’s history. It’s much less crowded on weekends! Across North Street from the PA State Capitol is the State Museum of Pennsylvania. This six-floor (four floors have exhibits) museum has been at its current location since 1964 and was added to the National Register of History Places in 2014. It traces the history of Pennsylvania all the way back to prehistoric times and up to present. It’s also very kid-friendly. Getting through the more than 3 million objects will take some time. The area one block west of the Capitol Building and State Museum is known as restaurant row to locals. 2nd Street has the most options but there are some excellent places off 2nd Street like Cork & Fork as well as the French-inspired Rubicon. The restaurant Row is an also ideal area to eat in between visits to the Capitol Building and riverfront area. 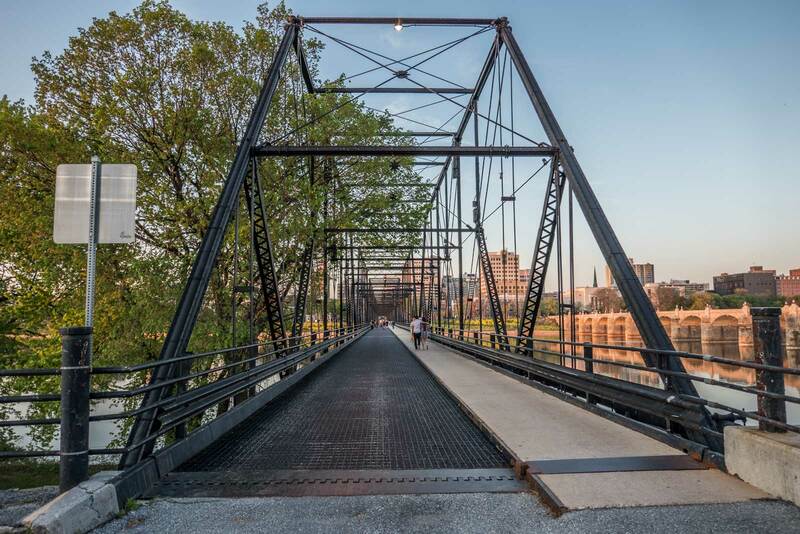 The Market Street (for motor vehicles) and Walnut Street (pedestrian only) bridges connect City Island to the rest of Harrisburg. The area around the two bridges is also an idealÂ location to exploreÂ the 20-mile Capital Area Greenbelt from. AÂ significant portionÂ of the GreenbeltÂ runs along the eastern bank of the Susquehanna River. Between Memorial Day and Labor Day, the Pride of the Susquehanna offers 45-minute cruises on the hour (afternoons only). 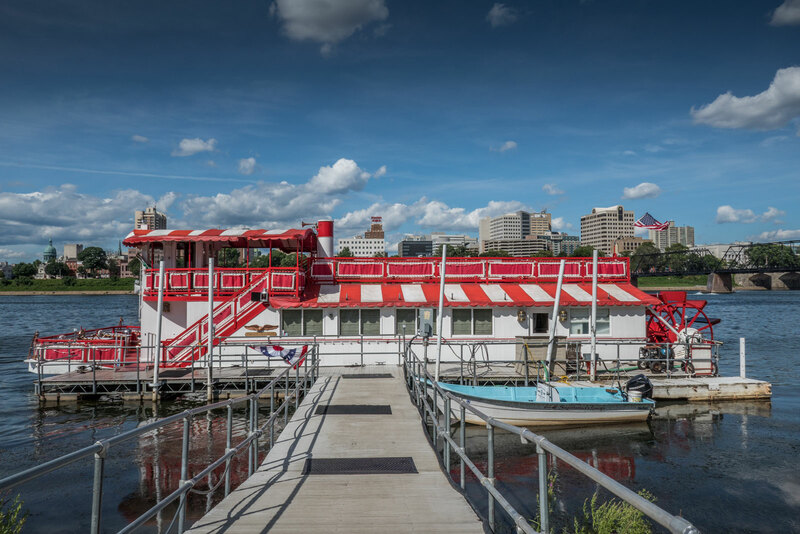 Their 120-passenger authentic paddlewheel riverboat is one of the few left in the country. For those looking to do more than take in the riverfront sights, there are dinner as well as live entertainment cruises. 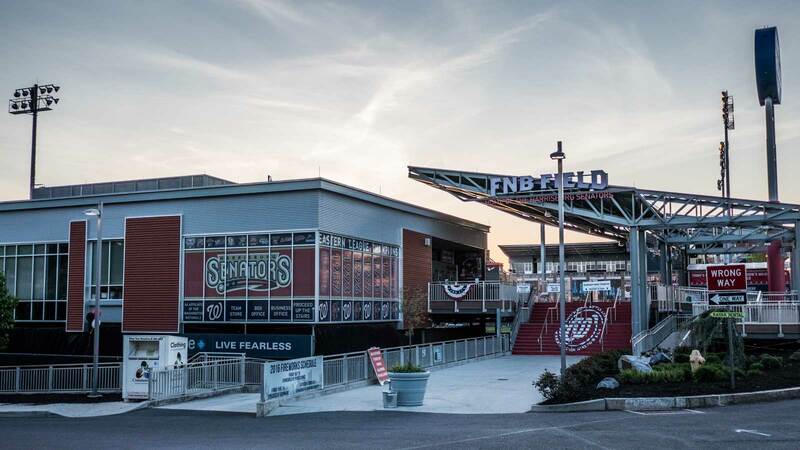 The dock is next to FNB Field, making it easy to catch a Senators game and take a cruise in the same day. Compare hotel prices, read reviews and book your Harrisburg hotel at TripAdvisor! Wow! Lots of history to take in in Harrisburg! Harrisburg sounds like a beautiful city with lots of history! What a cool town! Lots to see and do there. And the food looks tasty. So many great things to do here! I’d never considered Harrisburg for a visit before but now I will. I’d be all over restaurant row! I didn’t know much about Harrisburg until this post. 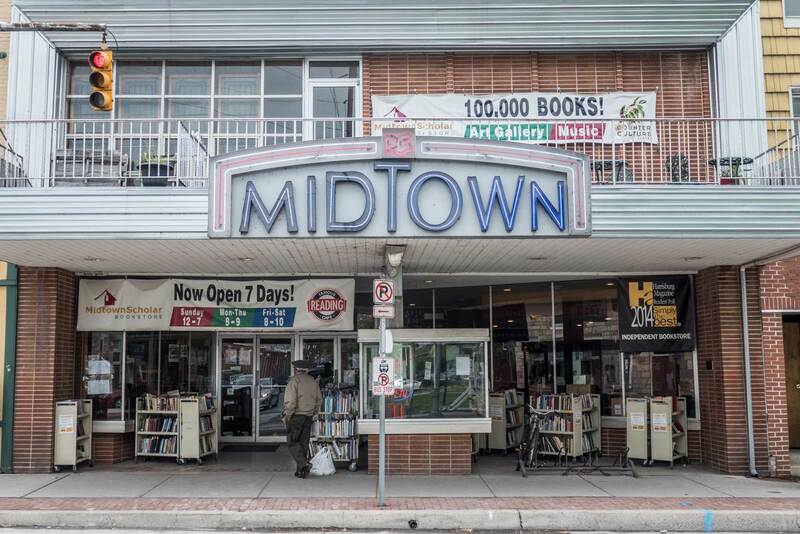 I think I would definitely like to visit the Midtown Scholar as I enjoy bookstores. I’ve lived in PA my whole life and never realized how much Harrisburg has to offer! I would definitely love to spend a day or so there for the Market and River cruise. Thanks for giving so much insight on places that are practically in my own back yard but never knew had so much to offer. I enjoy reading your blog very much! I would love to visit this small city. It has so much history. Thanks for this introduction. This place is awesome. Iam adding this to my next destination list. Photos are so beautiful Iam curious how would these places looks like in real. As usual, excellent article. I love reading about areas such as this. The type that don’t seem to be tourist traps. Thanks for the very detailed introduction to Harrisburg. Been to PA, but never visited this town. From the looks of things, I missed quite a beautiful city with lots of history. For next time 🙂 So interesting to read about the large Vietnamese community. Wonder how that came to be!!! Thanks for sharing. Thanks for the tour. Looks like a beautiful city. I never knew there was so much to do in such a small city! Where did you stay? I have a house a couple counties away, so I’ve never stayed overnight in Harrisburg. I want to visit so many place in the US and pennsylvania is definitley one of them!! Resturant row oh definitley!! Harrisburg would be a lot of fun. I could spend a lot of time checking out the city and its restaurants and museums. Beautiful! It’s definitely one of the best places to go to if you love a good lesson on history! I think it’s really awesome to go here and joining a tour would make it even easier for you to get to know the place. I’m going to love restaurant row as well! The war museum looks terrible but worth visiting. You’ve just given me more mptigstoon to come to Pennsylvania. I have a uni friend who lives in Harrisburg and she is always telling me to pay her a visit so maybe I should take the plunge?! It is beautiful in Pennsylvania. So many cool places to visit. I would love to go in Harrisburg one day, it seems very beautiful. Nice historical tour. Wish we could visit the US. Food and attractions look perfect. Enough reason for me to visit Harrisburg. The civil war museum looks interesting. Thanks for sharing this! Never been to Harrisburg, but definitely on my list now! What a beautiful place to visit! I didn’t expect the Harrisburg has so much to offer! Love the photo of the bridge, amazing view! In my bucket list of checking at least 1 city in all the 50 states in the United States, Harrisburg is the city which I have to check-in in Pennsylvania! It looks amazing! Thanks for sharing this post. Have pinned it for my reference! This looks like so much fun! I love the restaurant row and the bridges. So glad you had a great time! A really interesting place to visit. I will def visit the civil war museum. When is the best season to visit? April to October is best weather (no chance of snow). oh my gosh, that pizza!! That looks good! I’ve never heard of that place, thanks to you now though! You certainly have me at national civil war museum! That looks really realistic! I love exploring and learning more about our history. Such a great overview on things to do in Harrisburg, just as many activities as a city in Europe! I would probably follow your list exactly but the book store, the walk to the island, and the history museum all sound particularly great. Nice post. So much to see in Harrisburg! I would love to visit National Civil War Museum and the Capitol Building! Great town with loads of history and style. That capitol building looks amazing, and the ferry ride looks like a perfect escape. 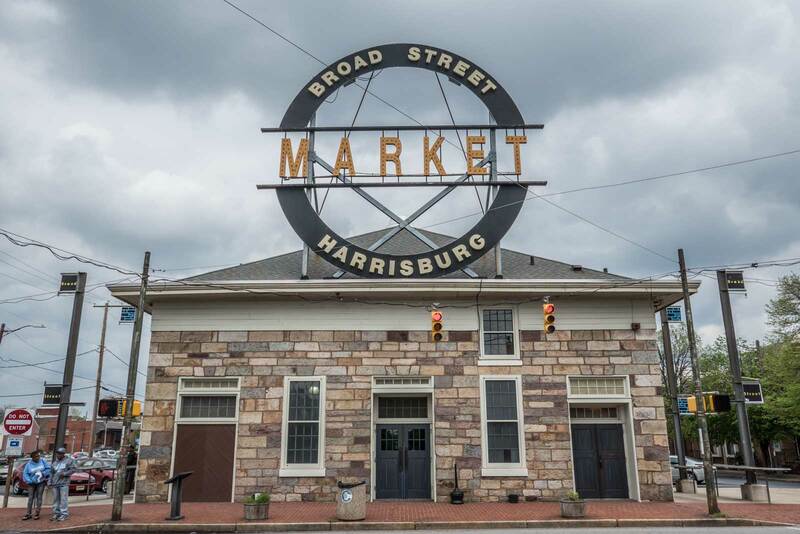 Thanks for this great post on Harrisburg. I will be visiting there this month and your post has given ne insight on what to look forward to.